FOXBORO, Mass. 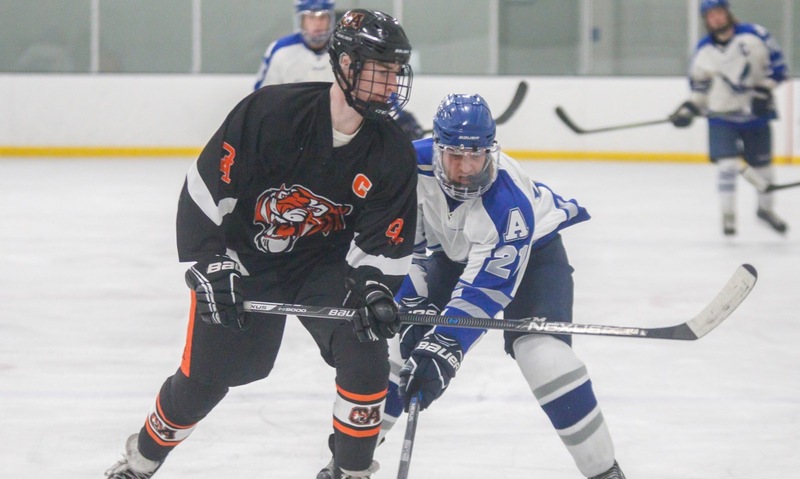 – The Foxboro boys hockey team dominated every aspect of the first 15 minutes of Monday evening’s clash with Mashpee/Monomoy, but somehow the score was even. The Warriors had a big advantage in attacking zone time, won the majority of the puck battles, and owned a 16-1 lead in shots on goal. But Foxboro was only able to cash in once, and an unlucky deflection allowed the Monarchs to score on their lone shot. In fact, it look less than a minute for the Warriors to tilt the ice. The 13th-seeded Warriors scored 56 seconds into the second period, added a second midway through the period, and scored two more in the final period to collect a 5-1 decision over the 20th-seeded Monarchs. Foxboro finished with a 54-7 in shots on goal, advancing to the D3 South First Round to take on #4 Bourne. The Warriors took their first lead less than five minutes into the game, its top line cashing in on one of its first shifts of the game. Senior Brendan Tully dropped the puck off for junior Ronnie MacLellan, who then slid a puck across the ice from left to right, finding sophomore Kirk Leach for an easy tap in for a 1-0 lead. 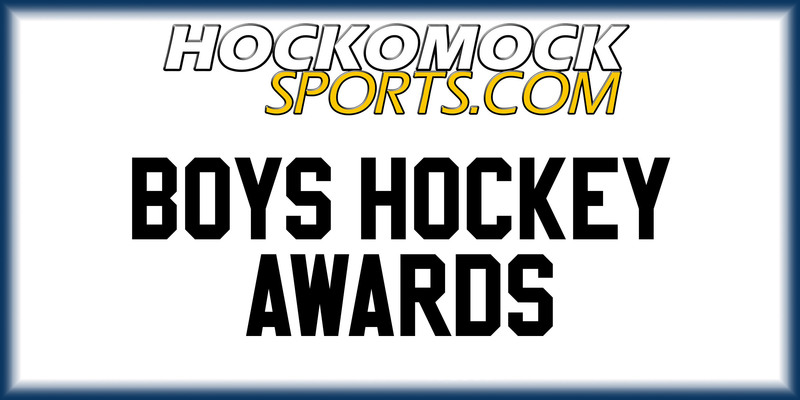 At first, it looked like Foxboro was poised to skate away with a big win but the Warriors weren’t able to solve Mashpee/Monomoy goalie Jack Daigneault for the rest of the period, despite a couple of good chances. It took the Monarchs nearly 10 minutes to register their first shot on goal, but were able to tie the game. Lucas Tambolleo fired a wrist shot from the right circle, but it deflected off a Foxboro defenseman’s stick and up into the roof of the goal to make it 1-1. “We had opportunities to finish more in the first period,” Cedorchuk said. “We needed to get more hungry around the net. We were getting pucks to the net, sticks were on the ice. It was a good offensive performance that we needed, that we were looking for going into this game. 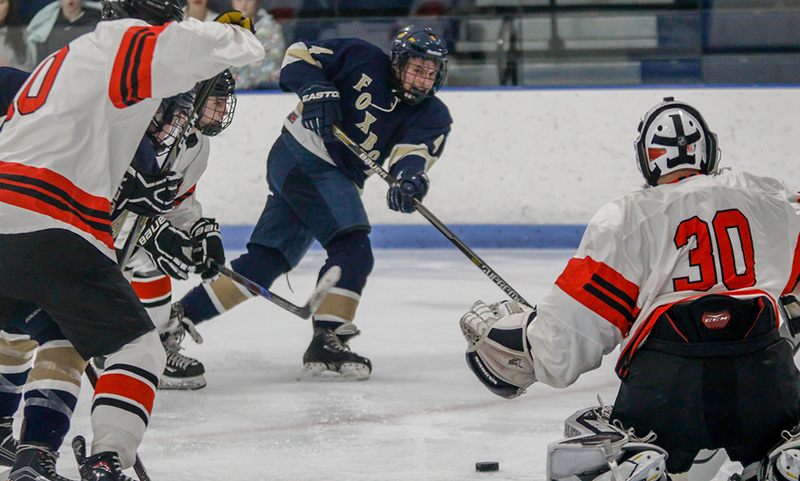 Foxboro repeated its dominance in the second period but found of the back of the net twice. The Warriors scored on their second trip into the offensive zone. Tully was the catalyst once again, this time weaving between a pair of Monarch defensemen before firing a low wrist shot. Daigneault got his right pad to the puck, kicking it back out but the juicy rebound went right to the stick of Leach and he buried his chance with a one-timer to make it 2-0. The Warriors nearly added to their lead just a minute later when Sebastian Ricketts drilled the crossbar with a shot, but the puck stayed out. While Foxboro couldn’t convert on its power play, the Warriors scored just seconds after the extra man opportunity expired. Leach carried the puck into the offensive zone along the left side, dropping it behind for freshman Jack Watts. Watts blasted a shot that was tipped by MacLellan, redirecting the puck through the five-hole. Leach came flying around the goal and pounced on the loose puck, batting it in to complete his hat trick to make it 3-1. Leach nearly had a fourth late in the second period. Tully thwarted a two-on-one chance for the Monarchs on the defensive end, and Leach won a battle at the blue line to get a partial breakaway but Daigneault stood tall to keep it 3-1. Similar to the second period, Foxboro got off to an ideal start in the third period. It took just 12 seconds for the Warriors to add to their lead. Freshman Matt Tully found MacLellan streaking into the offensive zone, and the junior blasted a slap shot from the left circle that beat Daigneault glove side upstairs for a 4-1 lead. Mashpee/Monomoy had their best chance of the game just over five minutes into the third period when Noah Tambolleo capitalized on a Foxboro turnover at the blue line and went in alone. Foxboro goalie Espen Reager read it the entire way and made a glove save to keep the 4-1 advantage. Watts got his second point of the game, this time firing a wrist shot from the right circle for a goal to make it 5-1 with six minutes left in the game. 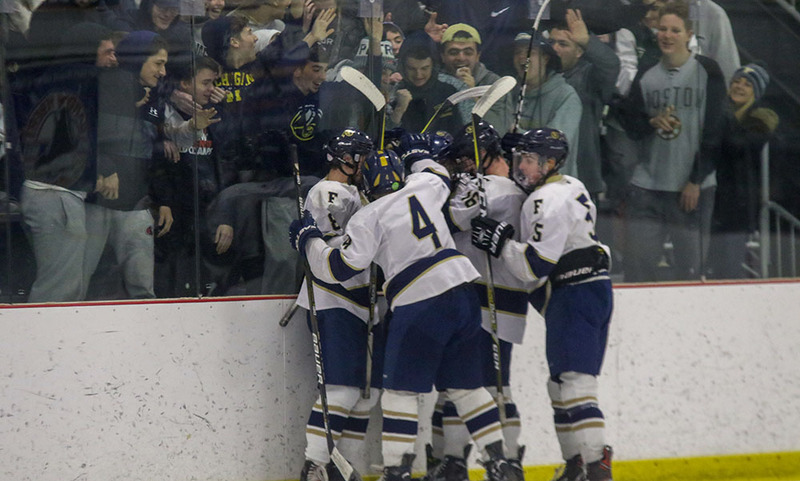 Foxboro boys hockey (12-6-3) will take on Bourne (14-5-1) on Friday, March 1st at Gallo Ice Arena at 8:00PM.